Three reasons to consider Orcutt Painting Company, Inc for your wallpaper removal. Experience - Orcutt Painting Company, Inc has been removing wallpaper since 2003. Our technicians have years of experience and know how to quickly remove wallpaper. 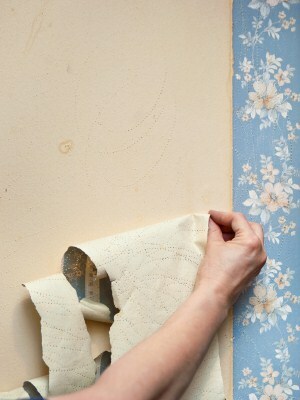 Affordable - As experienced professionals, we know how to remove wallpaper quickly and affordably. Priced just right, Orcutt Painting Company, Inc wallpaper removal jobs are always competitive and what you would expect to pay for a timely professional job. Find out today how affordable Orcutt Painting Company, Inc really is. Call for a free quote. Satisfaction Guaranteed - Orcutt Painting Company, Inc guarantees that you will be satisfied with your wallpaper removal. The job will be done to your specification and we go the extra mile to make sure you are happy you chose Orcutt Painting Company, Inc.
Orcutt Painting Company, Inc is a leading provider of Wallpaper Removal services. Our expert wallpaper removers have years of experience and can make your wallpapered walls bare in no time, saving you hours, if not days, of tedious labor. When you are tired of that old wallpaper and ready for something new, give us a call. We will remove that outdated wallpaper quickly and easily and clean up the mess too!